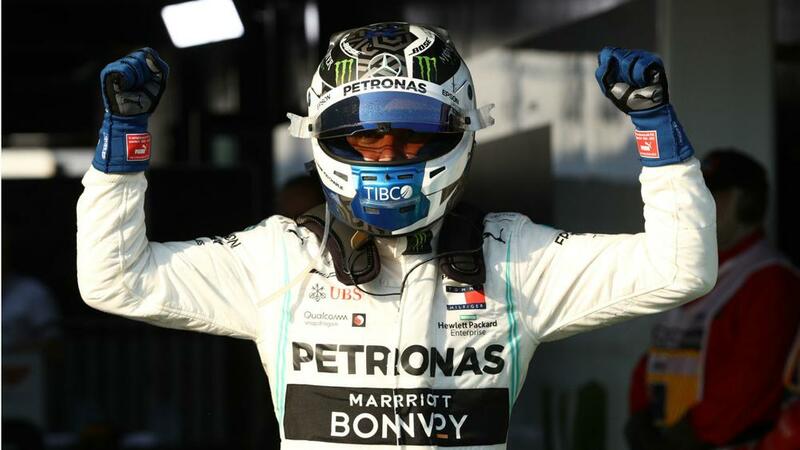 The 2019 Formula One season kicked off with a victory for Valtteri Bottas at the Australian Grand Prix on Sunday. The Finn failed to top the podium in 2018 but overtook Mercedes team-mate and defending champion Lewis Hamilton at the first corner before opening up an impressive cushion. It was a less impressive showing from Ferrari, while Red Bull began life with a new engine provider in the shape of Honda. Here we take a look at five things we learned from the opening race of the campaign. A promising display in winter testing suggested Ferrari could push Mercedes this year, but their performance at Albert Park indicated that the gap between the teams had in fact widened. Sebastian Vettel – winner of the opening two races last year and Hamilton's closest challenger in the drivers' championship – finished almost a minute down on Bottas, while Charles Leclerc crossed the line a second behind the German in his first race for Ferrari. If Ferrari cannot address the gap quickly, it could be a long way back for the Italian team and their drivers in their respective championships. Honda's name has been dragged through the mud in F1 terms in recent seasons, with the Japanese manufacturer largely blamed for McLaren's failings. How satisfying it must have been, then, to see Max Verstappen grace the podium in the opening race of a new partnership with Red Bull, the Dutchman finishing third. The result saw Honda finish in the top three for the first time since the 2008 British Grand Prix. Following a season in which he failed to deliver a single victory, Bottas is a man under pressure this year. Mercedes have reserve driver Esteban Ocon waiting in the wings should Bottas under-perform once more, the Frenchman having missed out on a race seat after being replaced by Lance Stroll at Racing Point, despite being one of the most exciting prospects in the sport. But Ocon – standing alongside team boss Toto Wolff – had to watch on as Bottas delivered the drive of his life to beat teammate Hamilton by a huge margin of 20 seconds. Tinkering with the points system does not always work in F1 – double points in the final race of the season, for example. But this year's addition of a bonus point for the fastest lap encouraged everyone to push in the closing stages, regardless of how far ahead or behind they were of the nearest driver. Bottas eventually added the point to his winning haul, but imagine the scenes if there was more than a single point on offer. Could that be a consideration if the bonus-point system proves a success? It's a sad sight but it looks as though Williams are in for an incredibly long season. The team struggled to get their car ready for preseason testing and later saw technical chief Paddy Lowe take an indefinite leave of absence ahead of the opening race. There was little on-track encouragement for Williams, with George Russell and Robert Kubica finishing at the back of the pack, two and three laps off the pace respectively.